Fusarium wilt has been one of the bigger disease challenges for growers in the absence of methyl bromide. 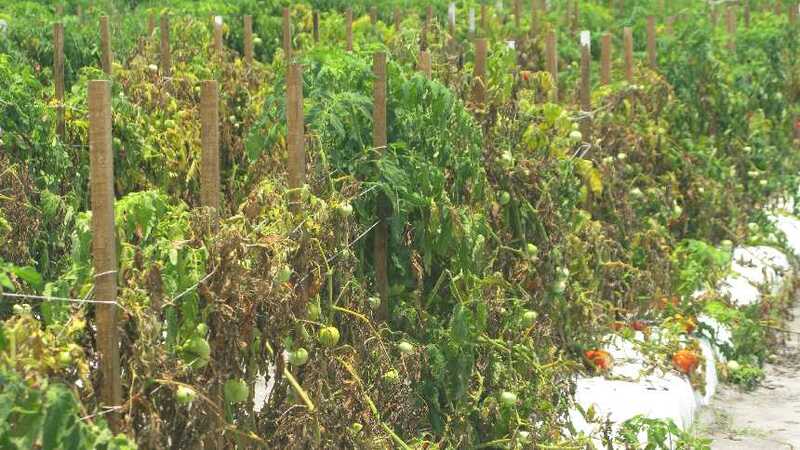 Fusarium wilt is a formidable fungal-fueled foe for growers of tomatoes and many other specialty crops, causing chaos in fields. Effective management methods have been hard to find when it comes to this malady. However, a group of fungi known as Trichoderma could provide some friendly fire as a group of scientists seek to develop a biological control strategy for growers to use as part of their crop protection toolkit. Thanks to a $770,000, three-year USDA grant, Gary Vallad, UF/IFAS Associate Professor of plant pathology, will be leading a team in hopes to use Trichoderma to supplement various pest-management methods for Fusarium wilt. Trichoderma are ubiquitous fungi in soil and on plants, and some strains have been used in agriculture as biological control agents. The research team is aiming to understand what factors limit the fungus’ benefits as a biological control agent, according to Vallad. Collaborating with Vallad on the project will be Seogchan Kang, Beth Gugino, and Terrence Bell from Penn State University and Priscila Chaverri from the University of Maryland. A little background on the research project’s origin via Vallad: Growers began using fumigant alternatives as methyl bromide was gradually phased out from 2005 until it was completely phased out of use in 2012. 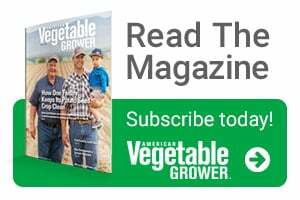 As growers tried various ways to control diseases, including alternative fumigants, they saw a re-emergence in soilborne pathogens and pests on many specialty crops, including tomatoes, peppers, eggplant, watermelon, cantaloupes, and strawberries. The project is slated to begin July 1. UF/IFAS researchers will conduct most of their experiments on at the Gulf Coast Research and Education Center in Balm, but they’ll also use crops from commercial farmers during the project. Vallad noted that the research — which will focus on tomato production — goes beyond Florida’s borders. Studies in Pennsylvania and Maryland will likely focus on small- to medium-sized farm operations.